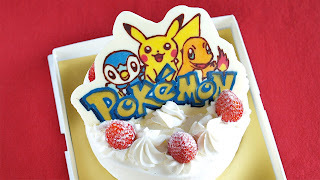 This video will show you how to make Pokémon Chocolate (Character Chocolate = Kyara Choco). You can make this with any kind of your favorite character! I hope you get an idea how to make it. BTW, I bought Wilton 12 Icing Colors Set in NY at $9. However, I found it costs 5 times as much as it does in Japan!!! You should get it in the U.S.!!! 1. Flip your favorite picture and print it out. Draw the outer frame if your picture is detailed. 2. Put the picture in a transparent plastic file folder and secure it with tape. 3. Melt the dark chocolate, use a bamboo skewer to trace the outline of the characters. Put in the fridge to set. Do not refrigerate it too long, otherwise it rolls up. Fix a mistake using a cotton swab. 4. Melt the white chocolate, make and paint the same type of color, starting from light shade to dark. Plan how you want to change the shades before you work on, then you won't waste the chocolate! But just make sure you won't forget to color them because you cannot go back to the same light colors after creating the darker colors. Put in the fridge to set after painting each color. ５、Melt the white chocolate and cover the entire image to reinforce the picture. Put in the fridge to set. ６、Remove it carefully from the plastic folder.